Pet Care - Which Pet? Jan 22, 2015 Thinking of taking a Pet care course? Not so fast! If you want to learn about pet care and are thinking of taking an online course in the subject, i..
Letter From the Director: Go Beyond the First Step. Jul 31, 2015 There’s been a lot of talk of poultry recently around ADL towers. And when I think poultry I think eggs. And then I remember being lectured as.. The Falkand Islands: Beautiful Wildlife Feb 13, 2017 Last year I had the good fortune to visit the Falkland Islands. The islands are a remote South Atlantic archipelago with unspoilt cliff-lined coasts exposed to ..
Midusmmer Sale Now Live! Jun 18, 2018 If you've been having a look around our site and noticed a course you like, now's the time to click on that Enrol button! For the next four days, 22.. The Story of the Barn Owl in Britain Jul 13, 2018 Some people will tell you that humans have only ever had a negative impact on wildlife, but that’s not true. Even the environments which are created entir..
Hello, I was wondering if you could tell me the awarding body for this course? On completion of the course, are you provided with a certificate from them? Thank you. The qualification for our courses are approved and issued by TQUK, an Ofqual Approved Awarding Organisation. TQUK are listed as "recognised" on the Ofqual Register of Organisations and they will issue the certificate on our behalf. When describing your qualification, you should say that it has been issued by an Ofqual recognised awarding organisation, which can be found on the Ofqual Register. for the online version how is it accessed? Please see my previous answer. Correspondence is an optional extra, in addition to the online access that everyone gets. The course material and assignments are sent in hard copy and is normally purchased by those who want everything in a neat, tidy and easy to access format that is offline. For most students, online access is sufficient, because the course ,material is laid out in a pdf. format, which can be downloaded in order to work away from the computer if required. The structure of the course is similar in some ways to doing a degree and as in a degree, how much you learn is very much dependent on how much work you put into the course yourself.Because of this, although the course hours in the course is given as 100, this is only a guide. Some of our students take longer, because they want to delve as deeply into the subject matter as possible. Others take longer, because it takes them longer to process the information. So for this reason, we do not impose any deadlines for assignments, or an end date by which the course must be completed. To do so, would curtail many students' capacity to learn as much as they want to from their course and we will not do that. Lessons for each course (or module when multiple courses are taken in a Diploma for example), begin with a set aim plus background reading of the notes that provide a foundation for each lesson. After the reading, you will then undertake a set task that may include further research, networking, problem solving, or looking at things from different perspectives. After this, you will submit a written assignment, which is marked and graded by your tutor and then sent back to you with any helpful and relevant comments. Finally, once you have completed all the lessons and assignments, there will be one final one-and-a-half hour written exam, taken at a time and place of your choosing. Our experientially based teaching methods will help you to learn in three important ways; by reading, researching and reporting (ADL's three "R"s). Once satisfactory completed, you will receive a Certificate, both as a hard copy sent to you in the post and sent electronically. I hope that this answers all of your questions Emily. Hi I am interested in the taking the course but Is the qualification a degree? This is not a degree level qualification. It is a short course, Certificate that offers 100 hours of study. ( 11/11/2013 ) A: Hello Lina, The Animal Anatomy and Physiology (Animal Husbandry I) is a good starting point if you are interested in working with animals in the future. If you found yourself on the course and felt you should be something doing something else, such as Animal Feed and Nutrition (Animal Husbandry III), then we would be happy to switch you over to that course instead. For this reason, I believe your starting point with ADL does not really matter as you have the choice to chop and change when you wish. Animal Husbandry course online - Home Study - Distance Learning. Working with animals? Get back to basics! Gain a thorough foundation knowledge of animal anatomy and physiology. This is essential for careers requiring good animal care and management. An excellent starting point for working with animals in any situation (farms, pets, zoos, wildlife, animal protection). Learn at your own pace through distance learning. Differentiate and describe the basic structure and function of cells and tissues of animals. Explain the digestive system, in terms of both structure and function, of animals. Explain the circulatory systems, in terms of both structure and function, of animals. Explain the urinary system, in terms of structure and function, of animals. Explain the nervous system, in terms of structure and function, of animals. Explain the respiratory system, in terms of structure and function, of animals. Explain the reproductive system, including structure and function, of animals. Explain the skeletal system, in terms of structure and function of animals. Explain the biological mechanisms underlying the growth and development of specified animal species. Explain the endocrine system, in terms of structure and function, of animals. Explain the muscular system, including the structure, function, and meat quality of animals. Explain the differences between various types of farm animals, in terms of structure and function. Explain the nature of animals in the primary production industry, with specific reference to your locality. 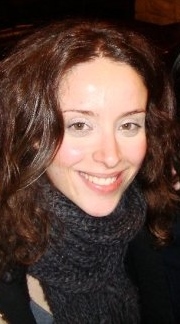 Structure and function of the nose. Gaseous exchange Rate and depth of breathing. Reproduction data for cows, sows and ewes. Juiciness, flavour, cuts and joints of meat. Identify parts of an animal cell on an unlabelled diagram. Describe the major features of a living animal cell, including structure and function. Describe one example, of cell interaction in live animals. Describe the cell functions for three different types of cells in animals. Differentiate between the cellular composition, using illustrations, of animal tissues. Explain the functions of four different animal tissue types. Describe the processes of nutrient and waste exchange in animal cells. Label a diagram of the digestive system of three different animals. Describe the processes occurring in digestion, in each section of the digestive system. Compare the digestive systems of different farm animals. Describe the action of enzymes and micro-organisms in animal digestion. Explain the role of accessory organs, including: *the liver *the pancreas. Explain the components of blood in animals. Explain the biological functions of blood in animals. Label on unlabelled illustrations, the parts of the circulatory system in a chosen farm animal. Explain the structure of an artery by illustrating and labeling a diagram of its five layers. Distinguish the characteristics of the various types of blood vessels in animals. Explain the role of the lymphatic system in a specified farm animal. Dissect an animal heart, and identify the parts of the heart on a photograph or the dissection. Label on an unlabelled diagram, the parts of the urinary system of an animal. Explain the role of the urinary system farm animals, including comments on urinary malfunction. The term anatomy refers to the science that deals with the form and structure of animals. Physiology deals with the study of functions of the animal body or any of its parts. A thorough knowledge of the structure of an animal imparts a lot of information about the various functions it is capable of performing. This course is intended to give an overview of both the anatomy and physiology of many animals. It can be used as an introductory course to further studies; to help you understand how to diagnose disease or determine if an animal has sustained an injury; to help understand the physical capabilities or limitations of particular species; to understand what happens in the nutrition and growth processes; and to assist you to get better performance from your animals. MSc (Distinction) Applied Animal Behaviour and Animal Welfare (University of Edinburgh), BSc Business Administration (University of the Aegean), Cert. Companion Animal Behaviour (University of Edinburgh ), Cert. Animal Use and Care (University of Prince Edward Island). Inorganic chemicals: these are the ions of salts and acids, some of which are essential in cell metabolism and others which act as buffers, reducing strong acids and alkalis to weaker acids/alkalis and neutral salts. Nitrogenous compounds: amino acids, urea, uric acid and ammonium salts. The red blood cells are called erythrocytes, and there are five million in a single millilitre of blood. They are dish-shaped discs (concave on either side) which specialise in transporting oxygen. Oxygen is bound to haemoglobin so it can be carried in the blood. Haemoglobin also gives blood its characteristic red colour. Red blood cells are produced in the marrow of bones and they have a life span of three to four months. After that they disintegrate and the pigments produced by their destruction are excreted in bile. These are small irregular shaped fragments of protoplasm which are formed in the marrow of bones and which play an important role in the clotting of blood and the prevention of blood-loss from a wound. They do this by sticking to each other and to the walls of blood vessels at the place of an injury. Platelets also release a substance called serotonin, which causes the blood vessels in the area to constrict in order to produce a drop in blood pressure. These are called leucocytes and there are between 4000 and 11000 per ml of blood. There are various types of leucocytes of different shapes and sizes. They play an extremely important part in the defence mechanism of the body. They can form barriers against disease and can also engulf harmful material such as bacteria. They play a role in the formation of antibodies and in the immunity mechanism of the body. They are formed in the bone marrow and in the lymph tissues, the spleen, the tonsils and lymph nodes. When a blood vessel is injured, a substance called thromboplastin is released which is converted to active thrombin. Thrombin reacts with fibrinogen in blood plasma, forming a substance called fibrin. Fibrin is in the form of fine, thread-like filaments which wrap around the red blood cells, the white blood cells and the platelets to form a clot which stops further bleeding. Immunity is the most important innate defence mechanism of the animal. It develops when the animal is exposed to the invasion of any foreign protein or protein-like substance. Such foreign proteins are known as antigens. Once inside the body, antigens eventually end up in the bloodstream where they produce poisons called toxins. Bacteria have proteins on their surfaces and so act as antigens. The presence of antigens in the blood stimulates the production of antibodies which kill the invading antigens and sometimes destroy the toxins they have produced. These antibodies are very specific, i.e. they act only against one particular antigen so that each disease stimulates its own antibodies. This fact is used in such precautions as vaccinations and immunisation. A complete guide to caring for animals, designed for anyone involved in their day to day care, including farmers, pet owners and students. 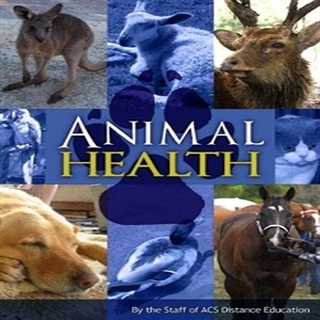 Animal Health eBook course online. Animal welfare and wellbeing has become increasingly important in recent times and is a major social issue in developed countries. "For the past 10,000 years, people all over the world have domesticated animals for various purposes. Some animals such as dogs and cats were domesticated as pets to provide company to humans. Livestock animals such as cattle and sheep were kept to provide products such as meat, wool or milk, or kept as working animals. No matter what the reason, animals and humans have been connected over an extended period of time. Optimum health is essential to the wellbeing and longevity of all animals. It is the responsibility animal owners to ensure the welfare of the animals within their care. As part of the general care of animals, we need to be able to identify diseases. The first step in recognising diseases in animals is to understand when an animal is unwell. This generally requires three things: information on the history of the animal, a physical examination and specialized testing to identify the cause of the illness."